Each weekday, the PEN® Team shares information with our social media followers which we think will help support your dietetic practice. We carefully select content that we think would be helpful and timely to dietitians, and would help you showcase yourself as an evidence-based leader in food and nutrition practice within your own personal networks and practice setting. Timely sharing of information is determined based on our daily scanning of journals, media, trending topics, the questions dietitians are asking the PEN® Team, and by looking ahead into health and nutrition advocacy days in the coming weeks. Of course, we track what content does resonate with our dietitians network, through the use of various website metrics. At the end of December 2016, we had 9735 followers on Facebook. As part of being on the high-achieving PEN® Team, with motivated, hard-working and goal-setting dietitians, I had set a goal that by the end of March 31, 2017, we would hit 10,000 likes on Facebook. A respectable, SMART goal. “Being asked about cleanses? 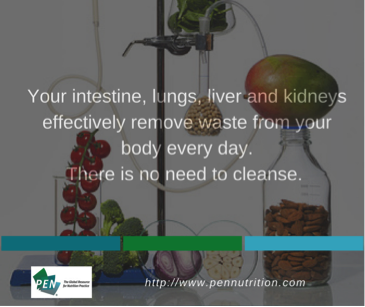 Your intestines, liver and kidneys effectively remove waste from your body every day. This post had 445 likes, 335 shares and reached 76,500 people! These metrics indicate that we had selected content that was timely for dietitians and helped to showcase dietitians as food and nutrition experts. In a sea of food and nutrition information, the PEN® System can help you weather food and nutrition “storms” by providing you with access to practice-guidance and client education tools to help calm the waters. Thank you for being a part of our PEN® Community on Facebook (and if you aren’t a part of it, come join us!). Here’s a virtual toast to more conversations with dietitians around the world, on the breadth of dietetic practice, helping to share our expertise, one post at a time. How do I…use knowledge pathways? PEN® Team’s Surprising Findings of 2016 is the most clicked-on content this fiscal year! PEN® Website achieves international certification for its 3rd straight year! Below is a quick glance at some of our new and updated content. Look for the new and updated symbols in PEN® System to see more new and enhanced content! Does maternal fluoride supplementation during pregnancy and lactation (where community water supply does not contain recommended fluoride levels) impact the incidence of early childhood caries (ECC) in infancy and childhood? Other than the fluoridation of water, what methods are effective in delivering fluoride to children? What effect(s) can teething have on a child's appetite? Are infants who receive breastmilk (either via breast or bottle), at risk for developing early childhood caries (ECC)? Are infants who receive formula at risk for developing early childhood caries (ECC)? Is water fluoridation an effective method for delivering fluoride to children? What are the nutrition and safety challenges and considerations for individuals following the low FODMAP diet? Can specific dietary patterns such as vegan or Mediterranean-style diet help to relieve the symptoms of fibromyalgia? Does the use of dedicated feeding assistants (volunteers, health professionals/assistants) improve nutritional, functional and/or clinical outcomes of hospitalized individuals? What are the effects of altering the intake of fermentable carbohydrates to improve irritable bowel syndrome (IBS) symptoms? This article was originally printed in Dietetics Today, a publication of the British Dietetic Association in May, 2016. It is reprinted here with permission. Note: watch for our video tutorial of the PEN Knowledge Pathway in the coming weeks: PEN Tours and Videos Tutorials. In this article, we demonstrate how PEN can help you in your clinical practice. All topics in PEN are collated under a Knowledge Pathway (see Diagram 1). In this article, we have provided the coeliac disease Knowledge Pathway as an example. The layout for all Knowledge Pathways in PEN are exactly the same. 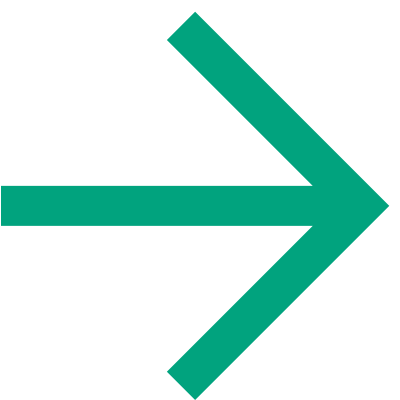 Diagram 1: This is your Knowledge Pathways, similar to an online version of chapters in a text book. Have a look at the right-hand side of the coeliac disease Knowledge Pathway. The Background section will provide you with a general, yet detailed overview of coeliac disease. This is a great place to start if coeliac disease is an unfamiliar area of dietetics to you or you just want a refresher. If you’re limited for time, check out the Practice Guidance Summary/Toolkit instead. This provides you with a brief overview of the whole coeliac disease Knowledge Pathway. Take a look at the right-hand side of the coeliac disease Knowledge Pathway. The Evidence Summary section will provide you with short summary of the key evidence points relating to coeliac disease. From a time perspective, this is a great way to obtain an accurate, succinct and evidence-based overview in a timely way. Go to the section Related Tools and Resources. 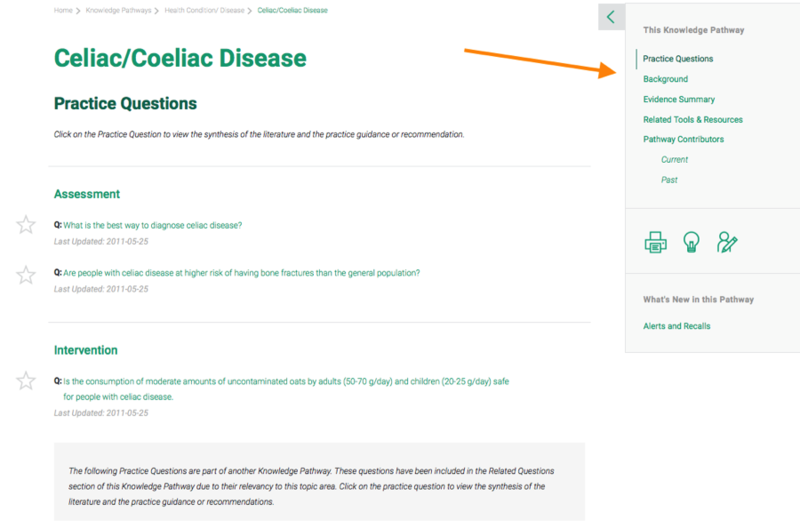 This section allows to you to download and print off a wealth of tools and resources for your patients with coeliac disease. Make PEN your first choice evidence-based tool during your dietetic career, providing you with quick and easy access to reliable information on over 190 dietetic and nutrition-related topics. Systematic, rapid, scoping, realist – these are different kinds of literature review methodologies. Did you know – the PEN® System uses different kinds of evidence review methodologies, depending on the purpose of the review? 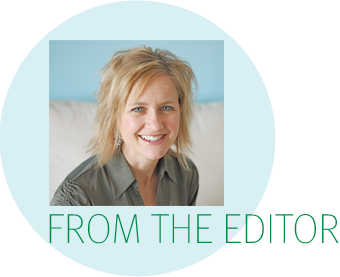 Read on to see how the PEN® System’s family of evidence reviews helps keep dietitians current and practice-ready with systematic, transparent and unbiased practice guidance. We came across an editorial recently written by David Moher, Lesley Stewart and Paul Shekelle entitled All in the family: systematic reviews, rapid reviews, scoping review, realist reviews and more. This article inspired us to think about all the different approaches we use to review and translate the scientific literature. They too have evolved over time, sometimes in response to evolving methodologies for critically appraising the literature, and sometimes to respond to our users’ need for quick assessments of single primary studies that might be making the news. The PEN® Evidence Synthesis and Recommendations are in-depth, internationally applicable appraisals of the evidence with practice advice. Quick Reviews of existing PEN® recommendations help to ensure timely practice guidance. Article Analyses and Evidence Clips are short and timely assessments of trending topics in the media. The PEN® team uses both the PEN® evidence-based process and the PEN® GRADE approach to provide graded, evidence-based “answers” to practice questions either identified by our PEN® topic authors or submitted by PEN® users. These comprehensive and systematic evidence syntheses also consider country-specific guidelines and governmental policy directives in creating the practice recommendations. The approach taken with our PEN® evidence synthesis and recommendations depends on the type of question being asked. The PEN evidence-based process answers questions primarily about diagnostic accuracy or prognosis, e.g. What screening process can be used to identify adults at risk of malnutrition? PEN® GRADE process answers questions primarily about impact of interventions, e.g. Does nutrition support improve health outcomes? Developing a search strategy and searching the literature using a hierarchical approach to filter the evidence (e.g. first identify high quality systematic reviews or guidelines based on systematic reviews). All PEN® content undergoes peer review. Peer reviewers may be academics or practitioners with acknowledged expertise, experience or training in the topic area. The goal is to have someone from each partner country (three individuals representing Australia, Canada and the United Kingdom), serve as reviewers. Reviewers’ guidelines are provided to all peer reviewers to ensure a comprehensive and transparent review process. For PEN® GRADE, there is an opportunity for a more intensive role on an international review panel serving as a resource person to the author through the entire process of developing PEN® content; these individuals are identified as co-authors. Date search conducted, databases searched, search terms, concepts, and limits used in the scanning process. They search for evidence-based guidelines, systematic reviews and meta-analyses before identifying individual studies, as the individual studies may already be included in recent reviews and analyses. For each practice question, the number, type and strength of the articles are identified (refer to the Evidence Grading Checklist). An overall evaluation is made of the existing PEN®content relative to the new literature found to identify priorities for synthesizing content, filling gaps and generating new content. An assessment is made using the Quick Review Checklist to determine if the update will be minor, moderate or major. Once the Quick Review is completed it is decided who will do the update to incorporate the new evidence – e.g. if it is a minor update it is assigned to one of our PEN® team members to do as soon as possible; if it is moderate or major work then it will be assigned either to one of our PEN® Evidence Analysts (experienced authors on the PEN® team) and added to their list of topics or to an external author with expertise in the topic area. Sometimes a single research study or a Cochrane systematic review will make news headlines. To provide a timely assessment of the quality and impact of such a study, a member of the PEN® team will prepare an Article Analysis. These are generally one page in length and focus on the quality of the study, how this information fits with what is already known, as well as implications for dietetic practice. These are peer-reviewed either internally by a PEN® Evidence Analyst or an external content expert and posted quickly so dietitians have access to the analysis in time to respond to the headlines! Sometimes a number studies or a systematic review will be published on a topic trending in the media or scientific literature. It is vital for dietitians to know more about these issues and share the analysis with their interdisciplinary colleagues and members within their inter-professional health care team and advocacy networks. In this case a larger, in-depth Evidence Clip will be written by a PEN® Evidence Analyst or an external content expert. These “shortish” analyses are also peer reviewed and are linked to a relevant knowledge pathway in the PEN® System. links to any additional content in PEN and ending with a list of contributors. Sample Article Analyses can be found in Trending Topics on the PEN home page. Our PEN® family of evidence reviews consists of different approaches depending on the purpose of the review. Our PEN® Evidence Synthesis and Recommendations use the PEN® evidence-based process and the PEN® GRADE approach to produce in depth and internationally applicable appraisal of the evidence and practice advice; e.g. : saturated fats and CVD – given the breadth of recent literature, this requires a comprehensive update and development of new content. Quick Reviews of existing PEN recommendations ensure the information is still applicable to practice; e.g. Interstitial Cystitis – dietitians need timely practice guidance – in this case, a quick review methodology is appropriate. Article Analyses and Evidence Clips provide shorter and timely assessments of an article or topic that is trending in the media. The PEN® System’s family of evidence reviews are all important and developed using a rigourous, transparent and unbiased approach to create practice guidance that dietitians can trust. Our family of evidence reviews and recommendations keep the dietitian current and practice ready, and will continue to evolve over time. We welcome feedback from our PEN® users on any element of the PEN® System. If you would like to be a PEN® Contributor, there are many tools and resources within the PEN® System to assist authors and reviewers under our PEN Authors and Reviewers Resources and remember, our ‘Submit a Content Idea’ or Become a PEN Author or Reviewer is always open! Search Develop search strategy using Search Strategy Worksheet Develop search strategy using Search Strategy Worksheet Not generally done for an article analysis; reporting on topic trending in the media. 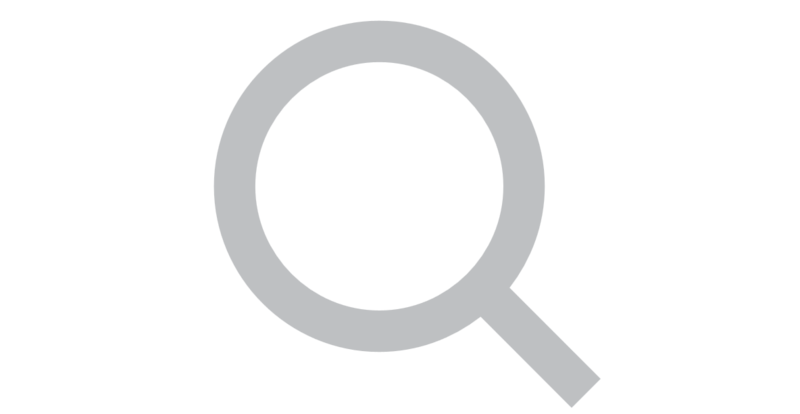 An Evidence Clip that provides more topic analysis tends to be based on an article described in the news followed by a quick search for a related systematic review or meta analysis on the topic. 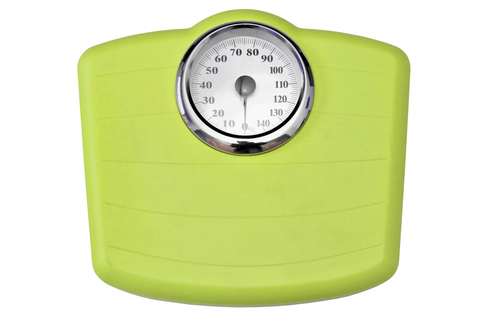 Weight management is a popular topic, especially in January, when it is common to set New Year’s Resolutions. We asked our PEN® followers on Twitter – What do Dietitians find is the most challenging aspect of helping people with weight management? 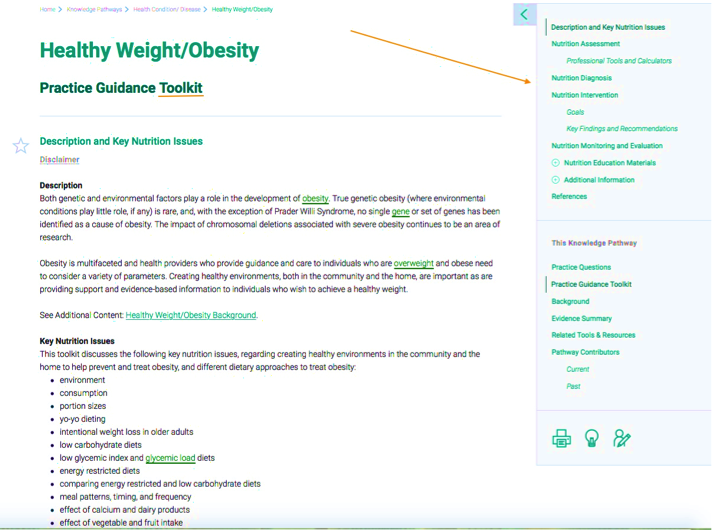 Environment, weight management goals and expectations, myths vs reality of weight management, and healthy lifestyles are all areas addressed in our Healthy Weights/Obesity Toolkit and Healthy Weights/Obesity Knowledge Pathway. 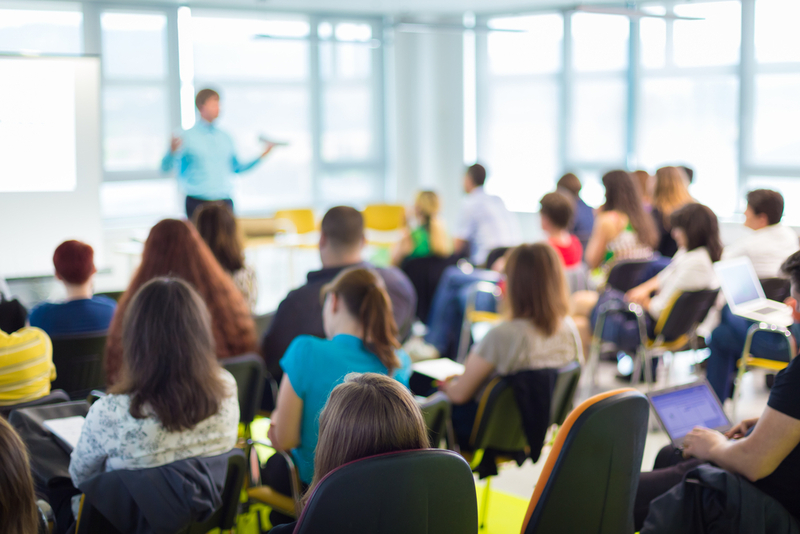 PEN® Site Licenses are a valuable resource for universities providing dietetic programs. More than 80 per cent of Australian and New Zealand universities with an accredited dietetics program now have a PEN® site license which provides their students, our future dietitians, with the opportunity to learn about the PEN® System and also use it to support their studies. PEN can be used in the university setting as an evidenced-based resource for students, as an opportunity for research projects and much more. In December 2016, the Dietitians Association of Australia (DAA) ran a webinar for dietitians working in the university setting, providing them with valuable information on how to use PEN within the university curriculum – thereby helping them to get the most out of their PEN® access. Students using PEN® content to write a nutrition blog. The webinar was a great way to highlight how beneficial the PEN® System is in the university setting and to learn from a number of Australian universities practical ways to use it within the curriculum. For DAA members the webinar is available on DINER. DAA will continue running professional development opportunities for its members to promote the PEN® System and to ensure our members get the most out of this valuable resource. Two workshops are scheduled for the 2017 DAA National Conference in Hobart - one on PEN® Basics and the other on the GRADE system PEN is now using. Registrations for the 2017 DAA Conference are open now. Please contact Natalie Stapleton, at DAA with any questions. For more information on how universities in Australia, Canada and the United Kingdom are using PEN read: Five Learnings from Introducing an Evidence-based Tool to Dietitians and Nutritionists of the Future. Each day, our Global PEN® team reviews the literature for evolving research and monitors for nutrition trends. Since 2012, the PEN® Team has reflected and shared its surprises of the year through our bi-monthly PEN eNewsletter. The 2016 surprising findings included nutrition and cold sores, alcohol and breast cancer risk, sugar-sweetened beverage tax, and GM foods not so common. Another surprising finding – these “Surprising Findings” are the most clicked-on content and in just one month there were more than 4000 downloads of this article. Wow! If you’ve not read the PEN® Team’s Surprising Findings of 2016, get reading! PEN® International Review Panels and Working Groups include dietitians with expertise to a specific topic areas from across all the partner countries who are working collaboratively to synthesize evidence for a practice area. Please take a moment to read and acknowledge your colleagues who have helped as authors, or peer reviewers for PEN® content as part of our PEN® International Review Panels and Working Groups. 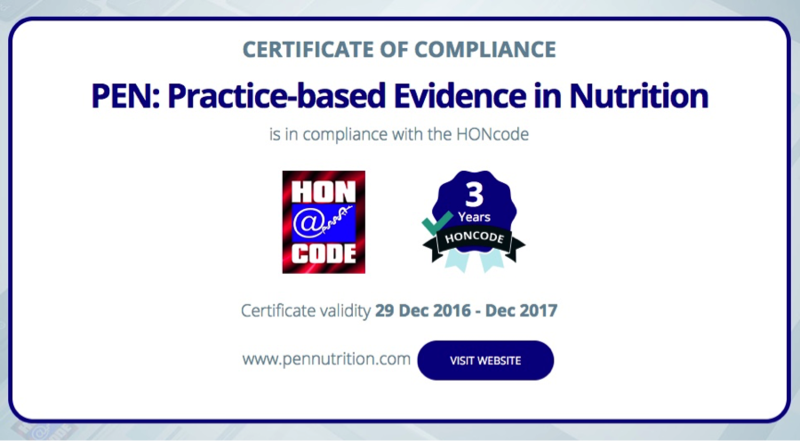 The Practice-based Evidence in Nutrition® (PEN) Global team takes great pleasure in announcing that the PEN website, for the third straight year, has earned Health on the Net ( HON) Code of Conduct certification. HON is a non-profit, non-government organization dedicated to promoting credible health information on the Internet. To receive HONcode certification, a website undergoes scrutiny by HON officials and must comply with criteria established by HON (see the eight principles to achieve certification below). 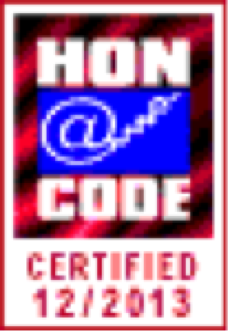 HON certified sites receive the ‘HON Code of Conduct’ logo to identify certification status. Authority: All medical information presented on your web site must be attributed to an author and his/her training in the field must be mentioned. Complementarity: A statement clearly declaring that the information on the website is not meant to replace the advice of a health professional has to be provided. All knowledge objects, e.g. questions, tools and resources, toolkits etc., in the PEN® System are date stamped with last updated date, which reflects date when review and or updating has occurred. All practice guidance in the PEN® website is referenced according to standardized procedures outlined in the PEN Writer’s Guide and PEN® Style Guide (PEN® access required). The PEN® System uses two approaches to grading the evidence. In 2015 the PEN® partners made the decision to adopt the GRADE approach to developing practice recommendations. This approach is best suited to Practice Questions that compare interventions. Going forward, GRADE is being used for new and updated Practice Questions that meet this criteria. The PEN® website is set to be available during core business hours (to support two Canadian Dietitian Contact Centres) and achieves this target 99.9% of the time. Maintenance (migrating changes to production) is scheduled once a month, on the last weekend of the month, to minimize user downtime and interruptions. Contact Us is available on every PEN® web page. Customer Service response times are monitored to ensure the target of 85% of contacts are addressed in less than 72 hours. PEN® Client Services consistently meet or exceed this target. It is essential that the development of evidence-based tools for practice guidance be not biased through the influence of commercial entities that may stand to benefit from the service and its recommendations. 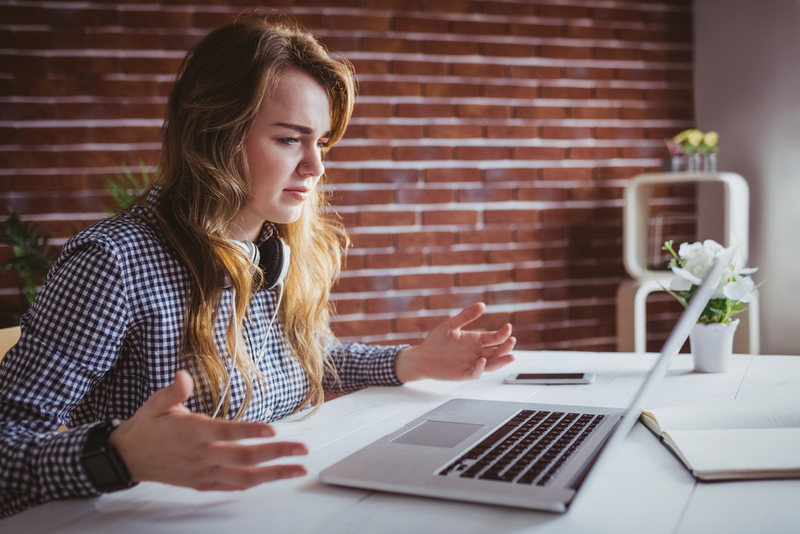 As such, Dietitians of Canada does not accept corporate sponsorship for the production or updating of practice guidance provided in the knowledge pathway content of the PEN® System. DC does not host or receive funding from advertising or from the display of commercial content on the PEN® website. All PEN® authors and reviewers are required to complete a Declaration of Affiliations and Interests Form that is kept on file with Dietitians of Canada. To learn more about the Health on the Net Foundation visit their website. Please join the PEN® Global Team in spreading the news about our success in achieving the HONcode as a reliable and credible health and nutrition web site. The Dietitians Association of Australia has seen 2017 come in with a bang . . . launching their new website in January! In addition to a new look and better layout, the functionality of the new website is much improved. A more efficient search function on the home page is a critical gateway to the rest of the content on the website. And for DAA members, a personal dashboard (a first - introduced with the new website) allows easy access to important news and announcements from DAA. Smart Eating for a Healthier You, the nutrition hub for the public, has been revitalised. And the new website has a ‘Voice of DAA’ section – a one-stop-shop for updates on advocacy work, submissions and media releases. As a second phase addition, DAA will soon be launching a new ‘Marketplace’ section, which will allow DAA members to interact to sell their goods and services to each other and to the public. A gourmet farmer, innovative presentation styles, picturesque scenery . . . and much more. The DAA National Conference in Hobart, 18-20 May 2017 is not to be missed! Registration for this year’s DAA National Conference has opened, and what an exciting program we have for delegates. Exploring the theme of Cultivating Fresh Evidence, three plenary themes – Nutrition Economics, Future Nutrition in Clinical Practice and Marketing and Nutrition Communication Debate – will showcase outstanding keynote speakers. Take a look at the program here. We are thrilled to be hosting this year’s conference in Hobart, Tasmania. Hobart’s restaurants, markets and picturesque scenery provide a great backdrop for our Scientific and Social Program. To kick things off on Wednesday 17 May 2017, we’ll host a special event Tasting Tasmania, which will provide delegates with an opportunity to enjoy the delicious local produce that Tasmania is famous for. Attendees will hear from guest Matthew Evans, the Gourmet Farmer and a Tasmanian local. Professor Do Thi Ngov Diep from Vietnam, whose community-based nutrition focus is on malnutrition, micro-nutrient deficiency, obesity and diabetes. Professor Amanda Lee, Chair of the National Health and Medical Research Council’s Dietary Guidelines Working Committee whose research focuses on prevention of chronic disease, Indigenous nutrition and food/nutrition policy. Professor Alan Shiell, Professor of Health Economics in the School of Psychology and Public Health at La Trobe University. Sharing insights on Future Nutrition in Clinical Practice are Dr Jane Muir, whose researched has focused on understanding the role of dietary carbohydrates in the health of the gastrointestinal tract, and Professor Manny Noakes, who is considered a key opinion leader and trusted advisor in nutrition and health, particularly in the area of higher protein dietary patterns and weight management. Peter Choraziak, Director of creative agency Red Jelly. Read more about all keynote speakers here. For the first time delegates will be introduced to two new, innovative presentation styles: Tabletop conversations (or Speed Geeking) and PechaKucha (Japanese for chatter). Download the conference app (coming soon) and hear media and social media updates on research presented. You can also join the conversation on social media using the hashtag #DAA2017. If you’re able to join us in Hobart, register by Tuesday 21 March 2017 to take advantage of early-bird rates. We hope to see you in Tasmania! Join dietetic colleagues this June for four days of thought-provoking lectures, enlightening education sessions, hands-on workshops, instructive tours and research presentations that address the issues that impact your day-to-day practice! Plan to attend the DC National Conference, June 7-10 in scenic St. John’s Newfoundland and Labrador. Find the full conference schedule, education program, speaker biographies and research presentation schedule in addition to our helpful conference attendance justification toolkit, travel and tourism information and a link to the quick and easy online registration at www.dietitians.ca/conference. Save 10% when registering by the early bird deadline on April 24. And why not submit your research or practice experience findings? Canadian Foundation for Dietetic Research invites dietitians and students (including dietetic interns, undergraduate and graduate students in dietetics and nutrition) to submit abstracts by March 15. Find complete information and submit your abstract at www.cfdr.ca/sharing/conference.aspx.